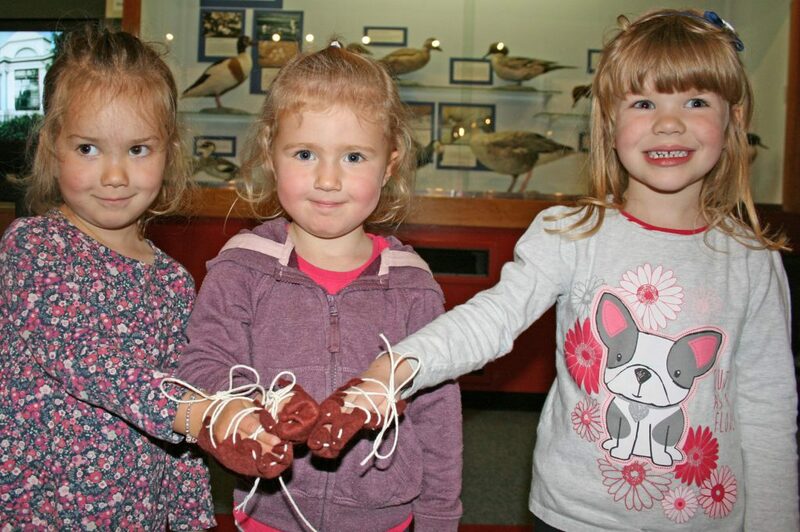 Throughout the summer over 450 visitors have taken part in the Dumfries Museum free family workshops on Tuesday mornings. The 2015 summer activity programme was called “The Apprentice”. Inspired by the museum’s new exhibitions called “Dumfries Silver” and “Town and Trade.” Junior visitors were invited to learn about life in 18th century Dumfries and the work of apprentices, but nobody was fired. 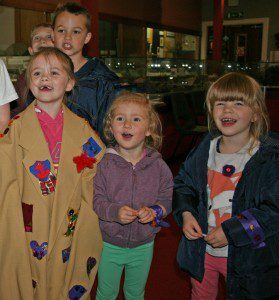 The activities provided fun ways for children to learn about the Seven Incorporated Trades of Dumfries, the hammermen (metal workers), squaremen (masons and carpenters), weavers, tailors, shoemakers, skinners and glovers (leatherworkers) and fleshers (butchers). These craftsmen or merchants were the wealthiest citizens of the town and were often members of the town council well into the 1800s. Museum trails encouraged children to discover relevant displays and learn more about the different town trades. Children helped to make group art work for display in the museum and made things to take home. Activities included decorating a footprint for the Cordwainers (shoemakers) banner, making a replica Roman shoe to take home, discovering the dragon on the Dumfries town seal and making a seal using clay and plaster (very messy! ), creating a replica silver burgess casket and decorating a “jacket with bling fit for a king”. 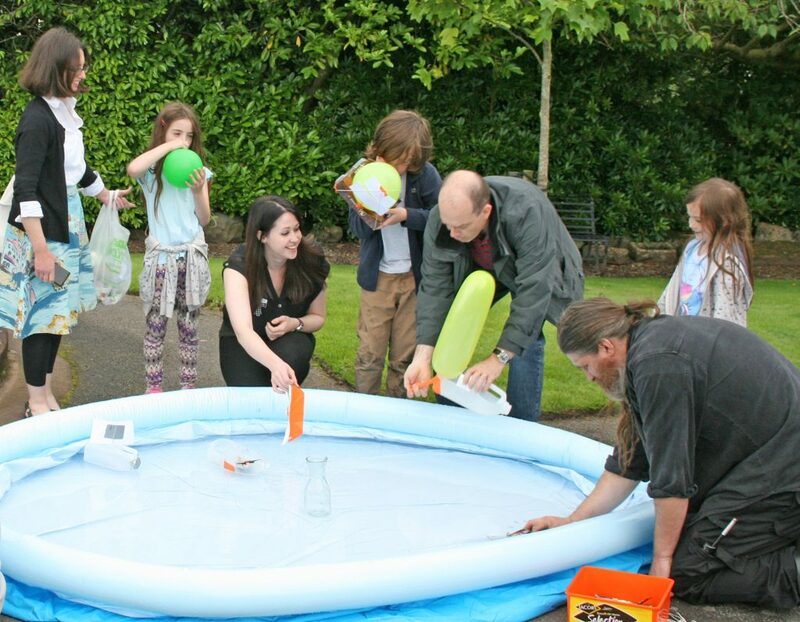 The series of activity days continued with three workshops provided by Wordsmithcrafts who taught skills in leatherworking and weaving and made model boats inspired by the 18th century Dalswinton steamboat. The museum is currently preparing its autumn/winter programme which will be available from the end of September. 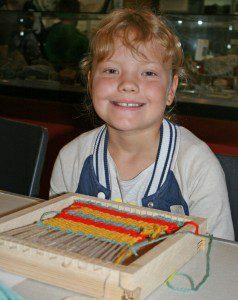 For details of the current programme of exhibitions, events and workshops visit www.dumgal.gov.uk/artsandmuseums. Next articleScottish Documentary Institute Opens Call To All Scottish-Based Filmmakers.